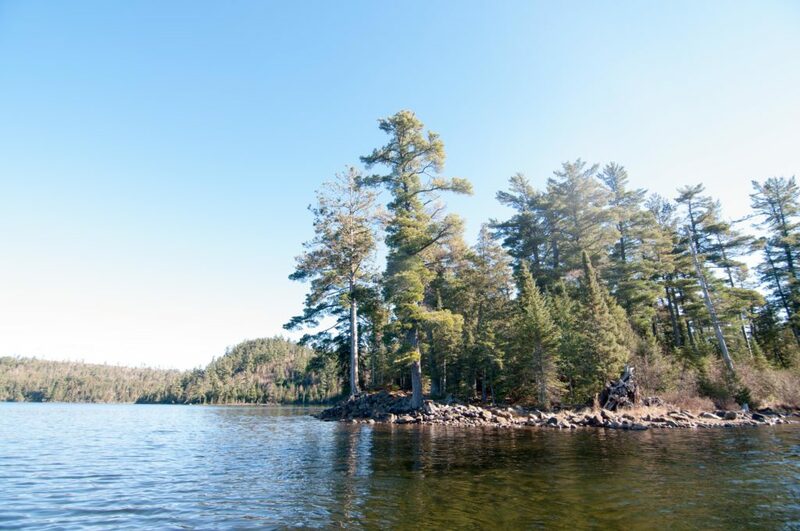 This extremely popular and accessible lake offers seven slightly above average BWCA campsites, mediocre smallmouth bass and lake trout fishing, as well as stunning scenery and access to one of the most beautiful spots in all of the Boundary Waters. 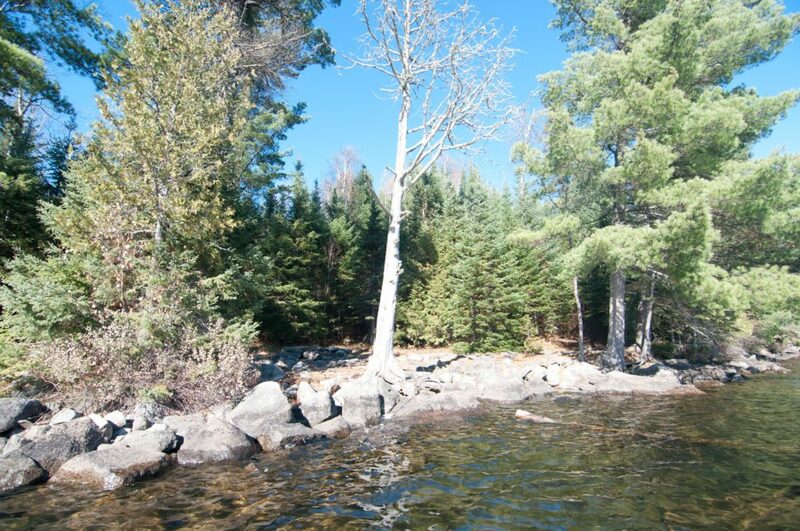 The main access to this lake is from the east off of West Bearskin Lake via a very easy and well used 70 rod portage. 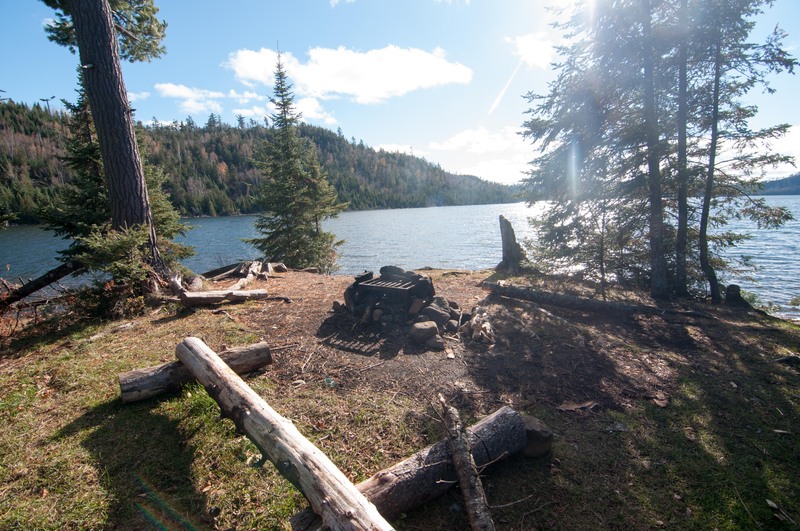 You would need an entry permit for #60 Duncan Lake to camp here overnight from May 1 through September 30. 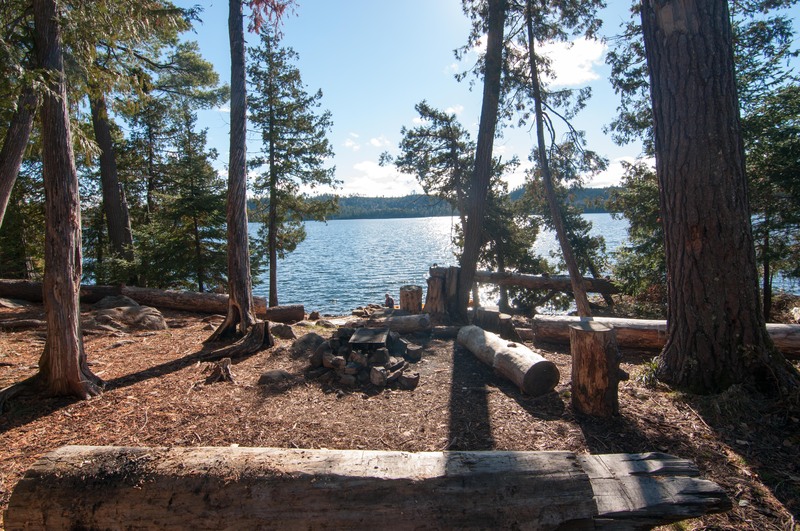 Its ease of access and proximity to Rose Falls and the views from the Border Route Trail makes this lake hands down one of the most popular and because of this campsite availability can be scarce during the busy months of July and August. 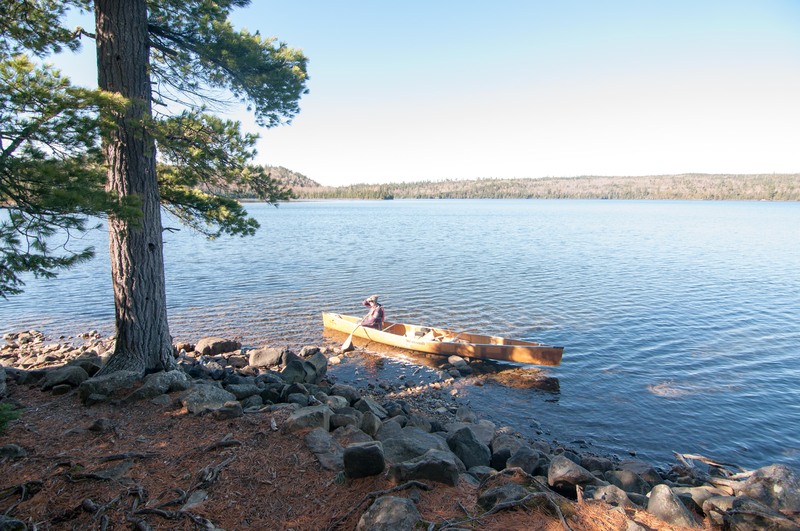 The number of people that day trip to Rose Falls during the open water season is quite high as well making the overall canoe traffic on this lake one of the highest in the area. If true solitude is what you’re after you may want to consider camping here during the shoulder seasons. 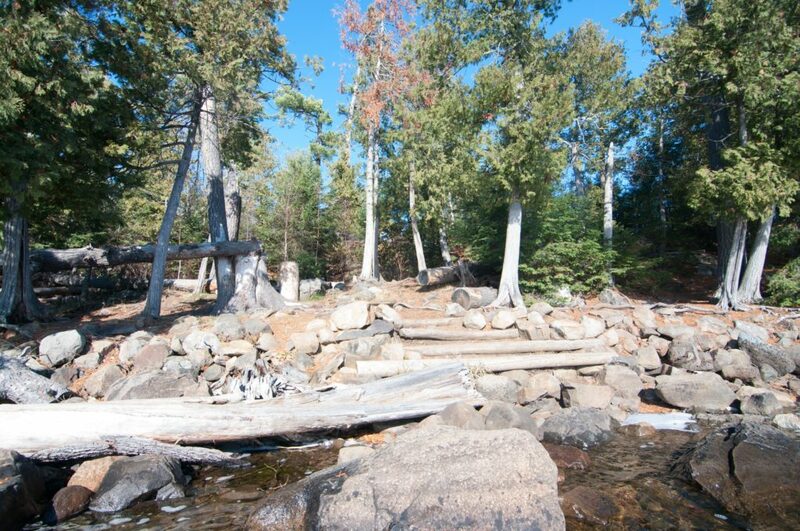 It took me ten years to find this campsite and if I had a list of the top ten hardest to find campsites in the BWCA this site on the far western tail of Duncan Lake would most definitely be on it. 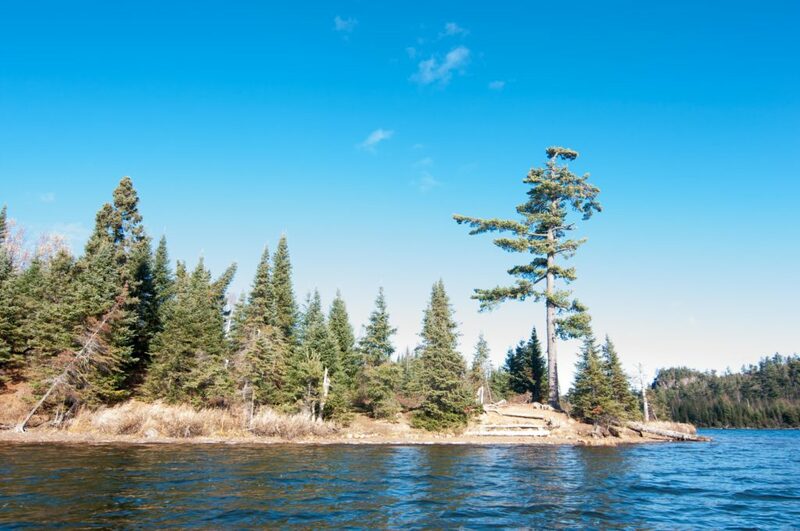 This is due to the fact that it has been affected by a few different storms that have taken down some large trees right at the edge of the lake that shrouds the landing or any sign of a fire grate and tent pad. One would assume a very hard to find campsite would make it undesirable, and in fact that person would be correct, this is a tough campsite to love. There are a number of large trees down in camp making it tough to get around. 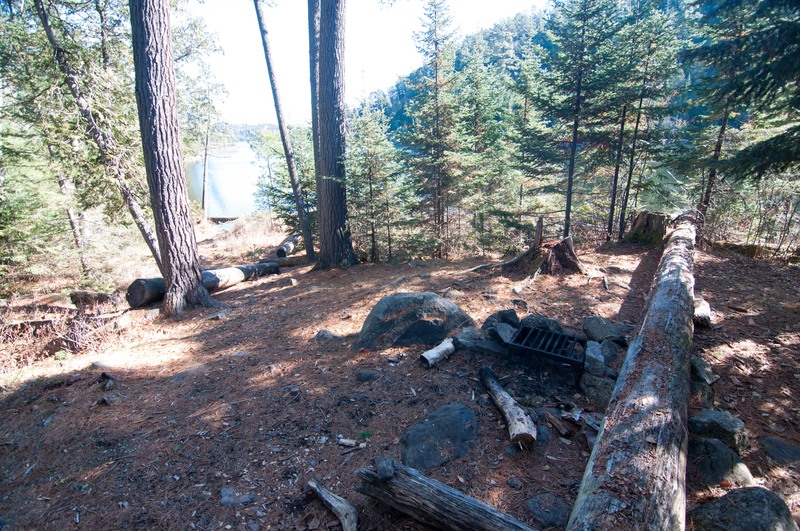 The fire grate area offers little in the way of ambiance or views of the lake. 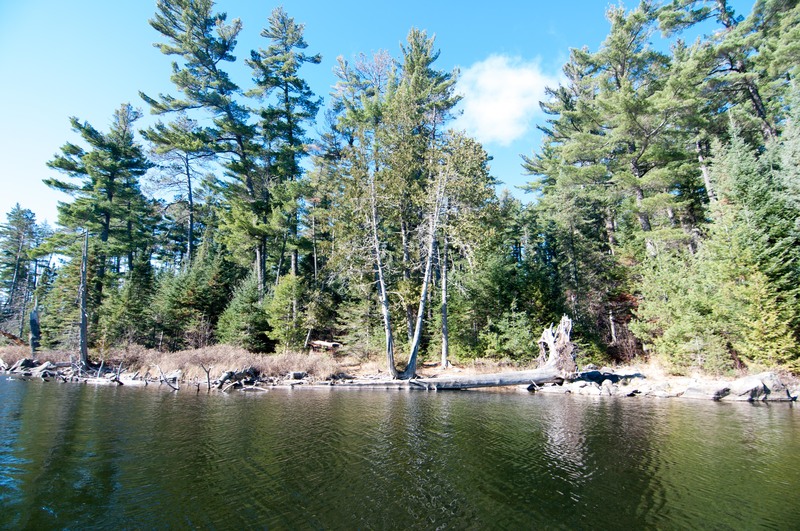 It does reside in a beautiful old growth stand of massive white pine, which does keep this site from receiving failing grades entirely. 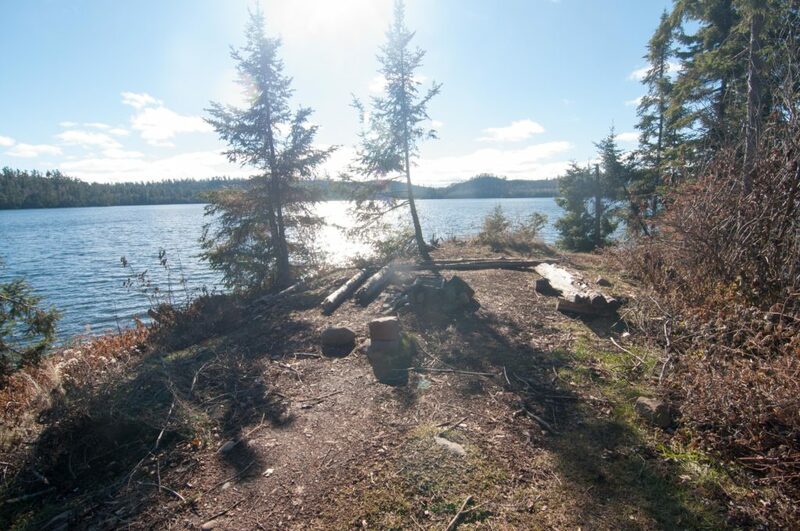 While this site makes for a decent little lunch spot with beautiful views out over the expanse of Duncan Lake, I would be hard pressed to call this place a nice campsite. It is questionable whether or not there is even one decent tent pad at this site. The landing is terrible and there really isn’t anything else adjacent to a small fire grate area. Located on a steep little point on the north side of this lake this used to be a very nice site. It still has plenty to offer but has been dramatically altered by recent blow downs of massive white pine trees into the campsite. There are still a number of very nice tent pads as well as a nice and spacious fire grate area, but the overall feeling of the site is chaotic and off-putting. Perched mostly atop a long grassy spit of gravel jutting out into Duncan Lake this is one of the more unique campsites in the area, and one of the nicer ones on the lake. The landing is literally a beach which makes coming and going a breeze. The fire grate area itself sits atop the tip of the point and offers excellent views, with most of the tent space at the back of the site. I personally like it when the tent area and fire grate area are more separate but I could see that as being a bit of a downside for some. Either way this is a cool spot. The last campsite on the north shore of Duncan before the Stairway Portage is very similar to the one just to the west. It offers an incredibly accessible landing in the form of another literal beach. 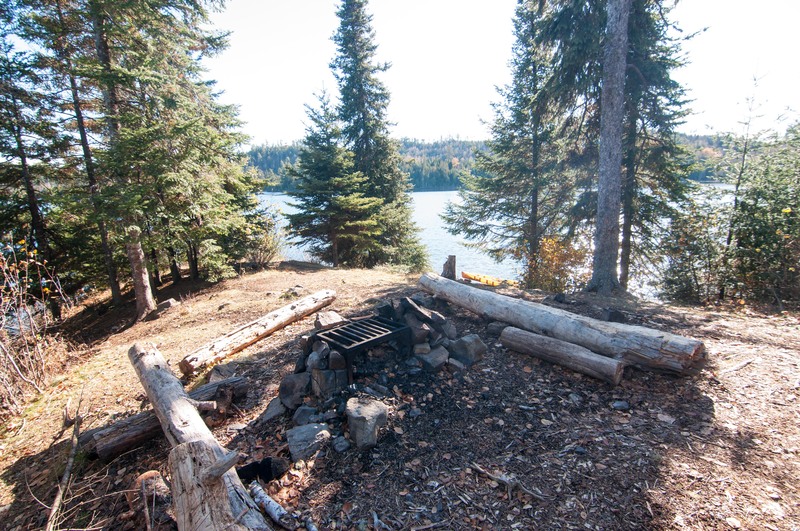 The fire grate area is also perched over the lake giving you that nice airy feeling while keeping the bugs down. There does not seem to be as much opportunity for tents or hammocks as compared to campsite #4 but it is still an above average site. 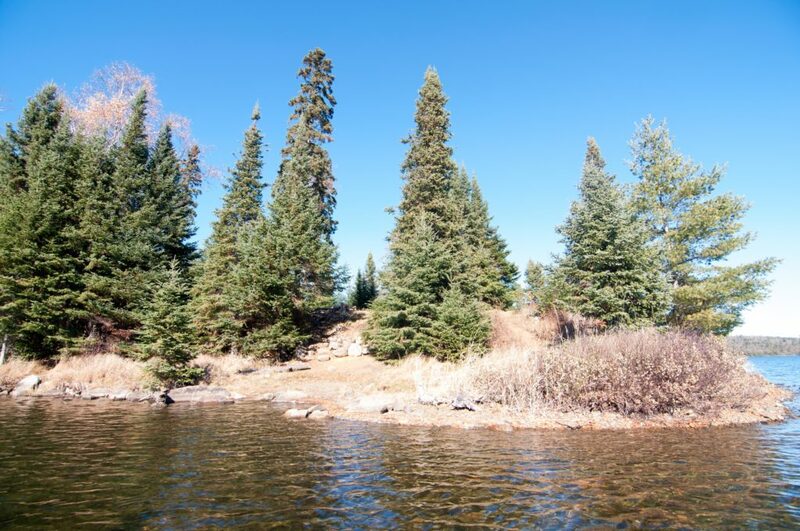 Due to its proximity to Rose Falls and the Stairway Portage and the fact that it is located at a somewhat narrow part of the lake you while see a lot of canoe traffic here in the summer; take it or leave it. 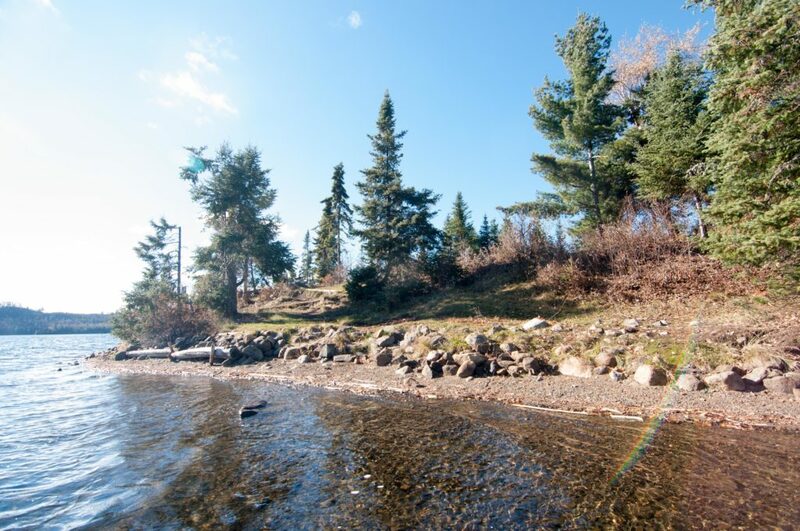 There is a long point that sticks out into the lake from south west corner of Duncan Lake and at the tip of it is where you will find this nice, popular campsite. 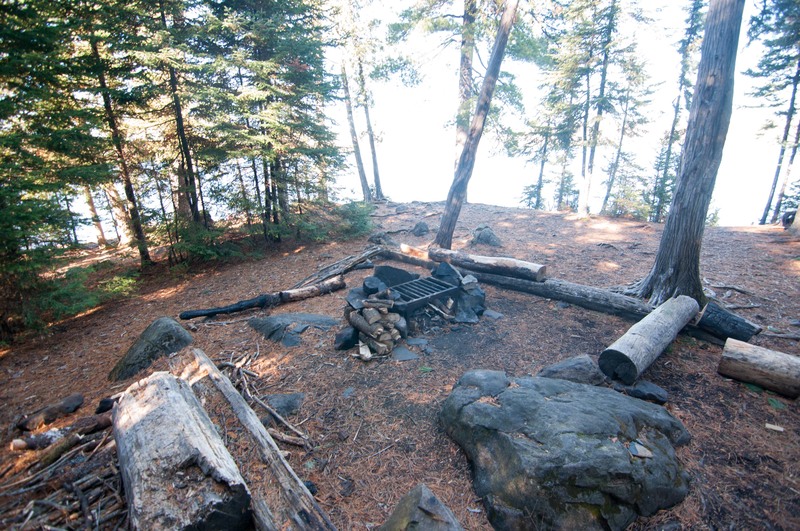 An amiable landing leads up a hill to a nice, lofty and well protected fire grate area and adjacent tent pads. There really isn’t anything wrong with this campsite, but there isn’t anything all that exceptional about it either. 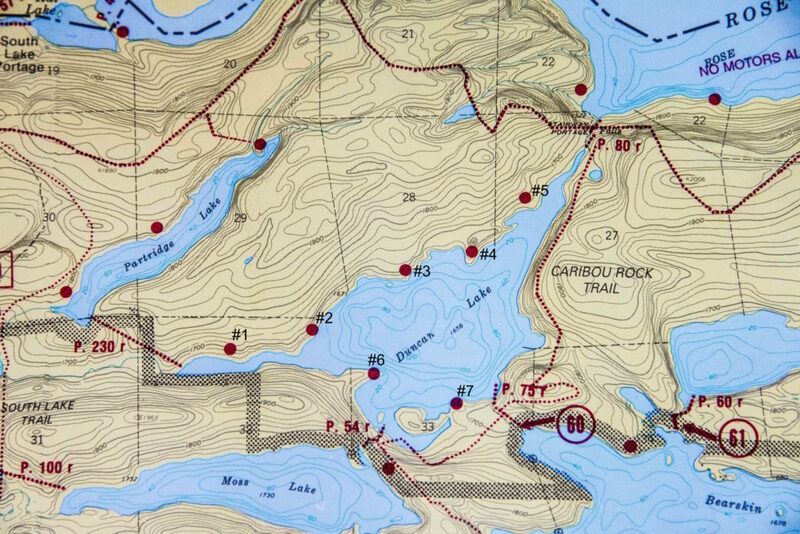 This is the closest campsite to the portage in from West Bearskin and it seems like it is heavily used because of it. Though it should be said that it may just be from the fact that this is a very nice campsite that it seems to see a lot of use. Beautiful old growth pines tower over this spacious space to call home in the woods for the night. A so-so landing allows access via a short climb to a huge campsite with endless hammock options and plenty of tent space. 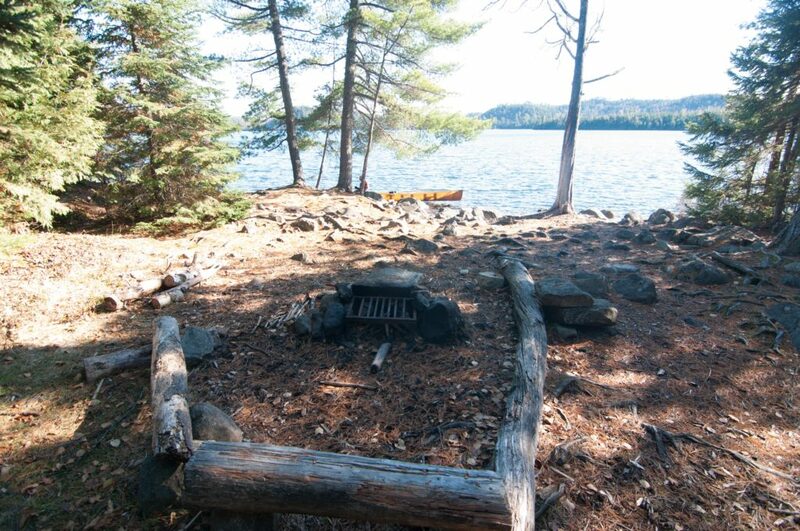 This feel like a classic BWCA campsite.